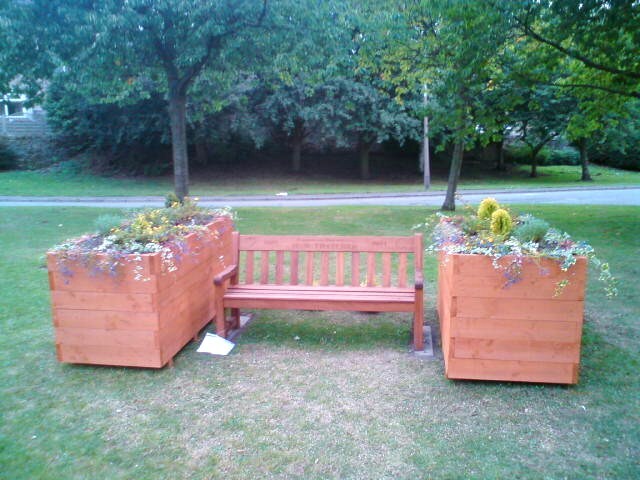 The tubs look lovely alongside Huw’s bench to make an ‘H’ shape – a special area for Huw. Thank you to Ellie, Little George, Louie, Sean and Liam for helping paint the tubs and to Lyn, Lawrence, Will and Ellie for helping the 3 of us with the planting. It was a pleasure making Huw’s area special with all of you and it was great to see other friends down there today as well such as Big George, Chris, Fraser, Robbie and Edson. Whenever I see Huw’s area it’s lovely to see people chilling out there and it’s an area that gives his family and friends a lot of comfort.